I enjoyed another good month of reading in May. Sometimes, I ask myself: Why do I read? Is it for pleasure? Is reading a mere hobby? Reading is not just a pastime to me. Reading has evolved over the years to be a sounding tool for it’s from books that I understand the words and thoughts that can change our lives in infinitesimally tiny ways. And sometimes, in the huge ways. Reading can broaden your mind and change your perspective. It astonishes me that so many people don’t read – they cite lack of time and any excuse that you can think of for not reading. It’s when we read that we are truly being open to the possibilities of different perspectives. I have been to more than 200 places by now. When people meet me for the first time, they all want to know, “How many countries have you been to?” I reply simply that I have stopped counting. No matter how many places I travel, I know that it is not enough. The world out there and within us is far more than we can comprehend. Books help me reach that comprehension. So, my dear reader, if you are reading this, then I urge you to start reading. Pick up any book. Any genre. Read for pleasure sometimes. But also read to enlighten. Reading should not always be an act of escapism – reading, as with most of the things we do in life, must be mindful. It should help us to reach the deeper parts of our self – enrich, broaden, and sweeten our life. 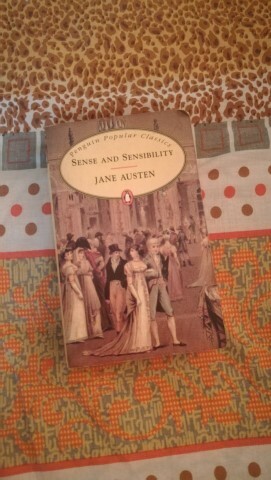 It had been almost 16 years since I had last read a Jane Austen novel. Then, I had read ‘Northanger Abbey’ while writing a paper on Victorian literature. I don’t think I had been enamored by Austen then and all these years later, nothing much seems to have been changed. Jane Austen takes some serious love. I was initially struggling with her long sentences. The story itself was fascinating and offers a wonderful if sad glimpse into the Victorian women whose life at all imagination lay in finding that wonderful gentleman to marry. In that sense, it was absorbing. I could not imagine a life where you are just stuck with taking gentle walks and visiting other manors and houses while waiting for the match of your life to occur. But that was life then. Jane Austen is a shrewd and wonderfully wise judge of human sensibilities – her portrayal of Elinor and Marianne as contrasted with ‘sense’ and ‘sensibility’ is accurate and powerful. It’s not for nothing that this is a classic. The rating I have given doesn’t reflect the quality of the book – it’s always what I feel about a book. Oh dear! I am losing it! This is the second classic in a row that I am not liking as much as I thought I would. ‘Where The Wild Things Are’ is one of those picture books that you are supposed to read from different levels – there are hundreds of interpretations of this book where a kid is sent upstairs to his bedroom without supper and then proceeds to imagine a land where he sails away to where the wild things are, proceeds to have a mighty fun rumpus, gets bored and comes back to where supper was waiting for him after all. How am I supposed to read this on all the levels? The funny thing about trying to analyze Children’s Literature is that sometimes such books shouldn’t lend themselves to analysis. Maybe, we should just enjoy the story for what it is? But then, I didn’t find the story all that magical. Maybe, I have lost the child in me. Maybe, I need to lighten up. Maybe, I need to let loose the ‘wild things’ in me. Or maybe, I just didn’t find the book all that appealing. Many years ago, in a literature class, we had this interesting discussion on the often-subversive elements in Children’s Literature. As we read of Alice’s Adventures in Wonderland, we learnt how so many of the well-loved classics we read as children hide themes of violence, darkness, pettiness, and societal condemnation deep within. It kind of tore our hearts when we realized that the stories that moved us were more than mere stories – they become vehicles that transport the author’s thoughts, and not merely gentle flights of his imagination. In ‘For Sale,’ you can sell your sister, and in another a crocodile eats a dentist. You get the picture? ‘Dreadful’ begins with this: Someone ate the baby. I rate this as 2 because there were some poems like ‘Love,’ ‘Shadow Wash’, ‘The Bagpipe Who Didn’t Say No,’ that I liked. The rest – well, maybe, I am getting old, but I don’t want my kid to read poems of disappearing legs and of someone eating a baby. Many years ago, I remember my friend talking to me about ‘Goat Days’. I remember the conversation, but I didn’t remember to read the book. 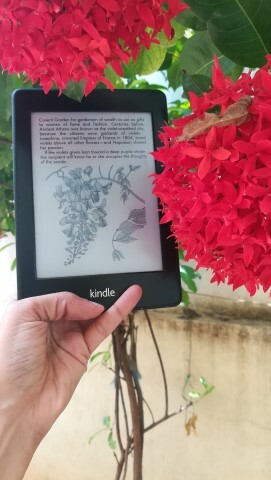 When I got around to it, my reading was interrupted by travel, and there were times I wished I could just go curl up with this book with no interruptions. This book deserved that sort of undivided time. Once, while climbing Jordan’s highest mountain, we wandered into Saudi Arabia. My cellphone switched from Jordan’s reception to Saudi Arabia. There were no patrols in that vast desert. We stood there, wind billowing watching over the immense, never-ending desert landscape with our Arab guide. That moment came back to me when I read ‘Goat Days’ because Benyamin brings that landscape to life with such utter poignancy. The character of Najeeb is based on a real Najeeb, and while I don’t know how many stories like Najeeb’s exist out there in the world, the story that was depicted here was at once heartbreaking and heart-warming. There was despair, and told in the first-person, the narrator speaks to you as a friend would. You feel that despair. You laugh with Najeeb when he laughs and cry with him when he cries. You wander the masara (the goat pen), lie down with the goats when the desert cold hits you, and try in vain to find respite from the searing heat of the day. Vivid, memorable, and searing, this book is a must-read from Malayalam literature. Most of my books (the print ones) have always been purchased in a bookstore. There is something about going to a bookshop and finding that one book that speaks to you. Looking at my bookshelf, there is scarcely a book that I discovered online and then bought as a print copy. ‘The Survivor’ by Gopinath Mohanty is a gorgeous story by an author that I hadn’t even heard of. Shows how much I have to learn! Finding Indian regional language books in translation, I have found out, is quite the task! Many books are out of print or are outrageously expensive. 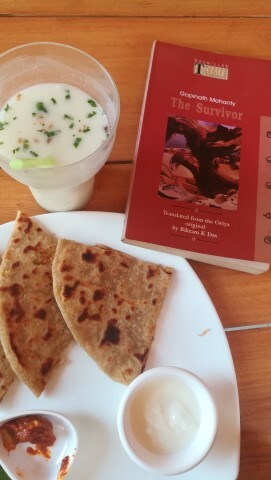 ‘The Survivor’ was called ‘Danapani’ in Oriya, and is an exquisite tale set in British India of a man who makes the pursuit of work and the climbing of the corporate ladder his ultimate aim in life. The village it is set in is nondescript, but as I read through the book, the stories are frighteningly true even of today- Birudatta has to please the ‘bosses,’ stifle the shame of ridicule, find a way around other colleagues, and ultimately win favors with the boss to get that coveted promotion. Does that sound familiar to you? It made me suddenly grateful that I am not in a corporate job. At times funny, at times whimsical, and towards the end mostly melancholic, Gopinath Mohanty has created a story that can quietly tug at your heart. Flowers and I have always have had our own conversation – their frail selves nodding with mine; their utter transitory life a reminder to my own. When I came across this book, I wondered what my beloved flowers would tell me. Turns out that it is not the same as what they whisper to me. In the Victorian Era, shackled by the mores of society, flowers turned out to be today’s instant messengers. Ardent gentlemen used flowers to convey their meanings of passion, love, and friendship. Made me wish I had lived in such an age! Smile. Many many years ago, I stumbled upon Neale Donald Walsch’s ‘Conversations with God.’ I believe that many times, we don’t find books by chance. The book that is meant to be in your life at that time will come to you. I can imagine this field of books, and from that field, just one book will get up and start walking towards you. You hug the book – “You made it!” you exclaim. The book nods happily and you both settled down forever. ‘Conversations with God’ was one such book that I fell in love with. It seemed to be placed at just that time in my life, in my early 20s when I was lost and confused. (Ok, I am still lost and confused now in my 30s). But that’s another story! I had quickly bought a few of Walsch’s books, but apart from the three ‘Conversations with God’ books, they didn’t appeal to me. ‘When Everything Changes, Change Everything,’ was therefore on my bookshelf for a long time. And while some of the nuggets are there still, I found myself rather disinterested at most times. There is too much of what Walsch himself admits is ‘new-agesy’ stuff. The casual tone of writing did not gel well with the serious nature of the subject. Maybe, I am too used to Pema’s writing and simple advice? I don’t know. So, the book flew over me. A few words rested within me. 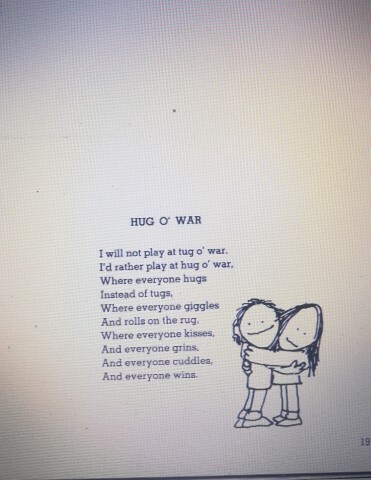 And then, I hugged the book goodbye. What’s next in that field? Daniel Klein sounds like the sort of guy I would want to have long conversations with and discuss the deepest crappiest parts of life with. Don’t get me wrong – Klein is over 80 and happily married! But in writing this book with such wry humor, Daniel Klein has managed to do something that is considered well nigh impossible – make philosophy readable and accessible to the ‘common’ reader who doesn’t have a Doctorate in Philosophy. ‘Every Time I Find The Meaning Of Life, They Change It’ is a collection of quotes that Daniel Klein wrote down at an earlier stage in his life. Accompanying these quotes are Klein’s own observations. Together, they serve to make us think, ponder, wonder, and mull about life. Not in my melancholic ‘What’s the point of it all?’ way, but in a ‘Let’s wonder about life, shall we?’ way. That makes this fun. That makes this illuminating. That makes us think. A book that does all this is a treasure. When I finished reading this book, I was awed. 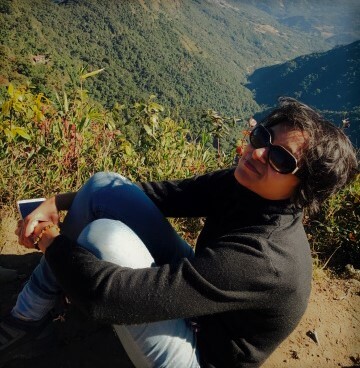 Not awed by the story, but awed by Shilpi Somaya Gowda’s research. For a non-doctor, she has done an amazing job in delving deep into medical science and creating as her main character a doctor. I had read Shilpi’s debut novel many years ago and as always her writing is a pleasure to read. She writes with tautness and the story pulls you along. You feel sufficiently invested in the characters, and for a while you can forget the world outside. Yet, I always feel there is something missing. Like Gowda can write a really great novel, but just stops short. I am not sure why I have this feeling, but that’s just what I felt after reading about Anil Patel’s family. There is just enough, but it doesn’t seem enough. I didn’t think I would pick up another book written by Becky Albertalli so soon after being disappointed with ‘Simon vs. the Homo Sapiens Agenda.’ But here’s the rub. I approached ‘Simon..’ with all the expectations that came with it being a hit book. This, I approached, with the same expectation with which I ended ‘Simon..’ I thought it wouldn’t be as ‘good’ and therefore, I was surprised. I had not read much of YA before. Blame it on my love for what I thought was ‘true’ literature. But these days, I read more of YA because although I have a few friends who are much younger than me, there aren’t many. I therefore read YA because I think it’s important to understand today’s generation that draws relationships on likes and lives and breathes social media. ‘Leah On The Offbeat’ was a fun read – you don’t have to concentrate much – and Leah’s head was getting to get into than Simon’s. This is lighthearted fun the YA way – break up, find another one quickly, and move on in life. No wonder, I want to understand today’s generation. I did it! I finally read a Stephen King novel! I must admit I was forced to read this book by my evil and despotic friend. We decided to read this together and we picked ‘Carrie’ because it seemed to be one of his shorter novels. How did I feel? I don’t watch horror movies and I certainly hadn’t read a horror book. But I didn’t feel the horror enough in this book in terms of blood and gore. I just felt the horror of humanity – the way we can numb ourselves and be vicious in ways that the heart surely can’t condone. I felt sad for Carrie, the young heroine of this story, who has hopes and dreams just like any another teenager but is driven to despair by the cruelty of her classmates and the madness of her mother. Told in an epistolary format, I struggled to really get into the book. The narrative shifts from what actually happened to quoting from books to courtroom testimonies. That perhaps left me feeling bit a disjointed. Would I read another Stephen King? You never know. I have certain dictators as friends who dictate my book reading. Grief, like love, is often a rainbow. We cope with loss and grief in our own ways. We struggle, reject, accept, rave, and rant against the ache of loss. 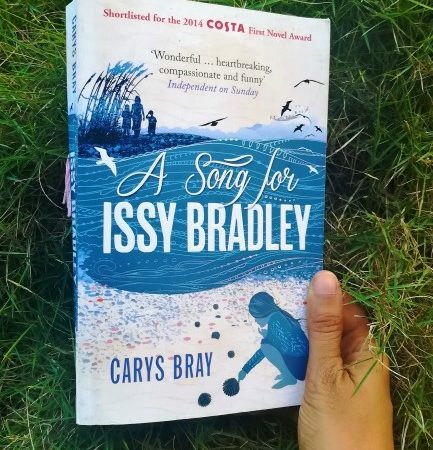 ‘A Song For Issy Bradley’ is a beautiful, moving elegy on grief. 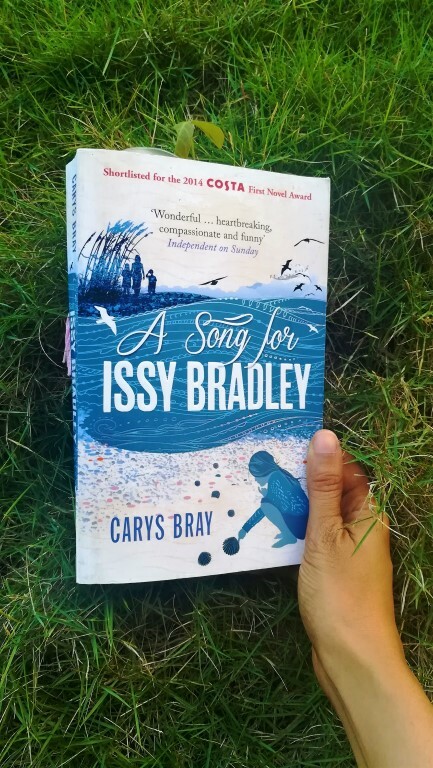 When the devout Bradley family lose their youngest, Issy, to a sudden and unexpected illness, grief steals a march on each of the members in its own insidious ways. The mother, Claire, shuts down and retreats from the outside world. Jacob, the little boy who follows Issy in terms of age is the most heart-rending, thinking of ways to resurrect Issy. He broke my heart, did this boy – a child after my own heart with all the thoughts he had in his little head. Ian, the husband, turns more to faith than ever before. Alma, the oldest, struggles with missing Issy and finding ways to rebel from the Mormon strictures. Zippy is in love and finds the temptations of that all-too sinful. Together, they all form a beautiful family. Not the picture-perfect family that others post on Facebook or Instagram. No. This is the real family with the aching vulnerabilities, the pain, agony of trying to understand loss, and fitting together pieces when you are not whole. This is a story reminded me at some level of Patrick Ness’s ‘A Monster Calls.’ My poor poor Jacob. A book with such a gorgeous cover, and here I am! Giving it a 1-star rating. I don’t like leaving ratings like these – I understand the pain and effort it takes to create a book, and the ease with which we can murder that effort. My ratings never mean that a book is ‘good’ or ‘bad’, but merely a reflection of the conversation the book and I had with each other. Considering my love for Buddhism, I thought this might be a good introduction to the Tibetan Book of the Dead. It’s most definitely not easy to convey the complexity of the Tibetan approach to death, and Bruno Porteir’s effort here is well-meant, but it just falls short. The writing was a bit corpse-like (such a bad pun, excuse me! ), and although I understood the process of death and its aftermath, I wasn’t too impressed by the fictional format. But it did make me think. If I were to know that I were to die tomorrow, what would I do? And then, I smile at the answer, which comes to me as a question. “And you think you are going to live tomorrow?” Of such ignorance do we lead our lives! Set in Japan at about the beginning of the second World War, the book is a beautiful and evocative tribute to the unexpected friendships and relationships we make in life. When Stephen-san from Hong Kong is forced to stay in his grandfather’s beach house retreat in the fishing village of Tarumi after a bout of sickness, it marks the beginning of a transformation in his life. He forms a strong bond with the caretaker, Matsu, and his soulmate, Sachi, who is banished from Tarumi. Old relationships are unfurled through Stephen’s eyes – he learns of the fragile state of his parents’ marriage, the complexity of relations in Tarumi, and feels the first spring of young love with Keiko. Against the backdrop of it all is the horror of war as the Japanese invade China. So beautifully poetic and Zen-like, this is one of my favorite books of this year. Nay, ever. I confess I hadn’t read or known much about Greek mythology. Yes, there were the old childhood memories of having read something about Helen and the Battle of Troy, and a Trojan horse. But I skipped European literature in college, and there is, therefore, a gaping hole in my reading genres. But when my despotic friend started to read ‘The Song of Achilles,’ I was curious to read something new – a retelling of an old Greek myth? ‘The Song of Achilles’ starts beautifully and the connection and attraction between Achilles and Patroclus is beautifully captured. There is a slow intensity that builds up into the intense love they share. I lost the pace a bit when the war begins because many of the names were unfamiliar with me. That’s where the 3-star rating comes in. After slackening in the middle, it picks up and there were tiny pinpricks of tears when I read about Achilles’ grief. And then, towards the end, the pace seems hurried, and before I know it, the Trojan war is over, and everything settles into a quiet dust. Somehow, I seem to be describing life, don’t I? All our mad hustle – and we carry nothing with us when we go except love. For that portrayal of love, this book is beautiful. It’s a wonderful, brave effort by Madeline Miller that I can only marvel in awe at. Previous Post Where Do I Admit My Flaws?